Beth is head of the firm’s Personal Injury department. 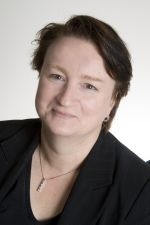 She qualified as a solicitor in 1986 and since then has specialised in personal injury litigation. She is an accredited member of the Law Society’s Personal Injury Panel and belongs to the Association of Personal Injury Lawyers. She was listed for personal injury in the Super Lawyers list for London 2013. Most of Beth’s work involves acting for people seriously injured in the course of their employment, for example, while using defective machinery or because of their employer’s unsafe system of work. She occasionally represents our corporate and registered provider clients at inquests and in the defence of injury claims which their insurers will not cover. She also conducts professional negligence claims against other solicitors arising out personal injury cases, such as missed limitation dates and under-settlements. Beth has considerable expertise in legal costs issues and sits as a Solicitor Assessor in the High Court assisting judges in costs appeals. Beth is a partner and member of the LLP. We use the word “partner” to refer to a member of the LLP, or an employee or consultant with equivalent standing and qualifications.